Shawna has worked at Manitoba Hydro for 30 years. Presently, Shawna is the Senior Managing Director of Manitoba Hydro International (MHI). MHI is a wholly owned subsidiary of Manitoba Hydro, Canada’s fourth largest electric and gas utility. MHI provides consulting, training and management services to project developers/owners, electric and gas utilities and governments world-wide. 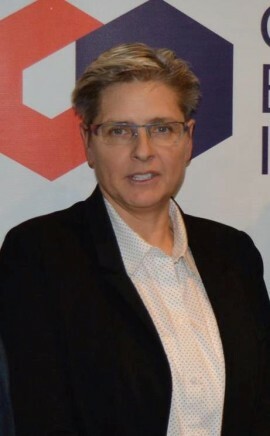 Prior to holding this position Shawna was the Division Manager for the Power Projects Development Division, responsible for the pre-construction phase of proposed hydroelectric projects, including licensing, engineering and the business development agreements with aboriginal people in the vicinity of future projects. Shawna has 30 years of technical and managerial experience in electric utility operations during her career at Manitoba Hydro including 20 years of experience in the delivery of international utility services primarily to developing countries. Shawna holds a Bachelor of Science degree, a Masters in Business Administration degree and is a Canadian Registered Safety Professional.